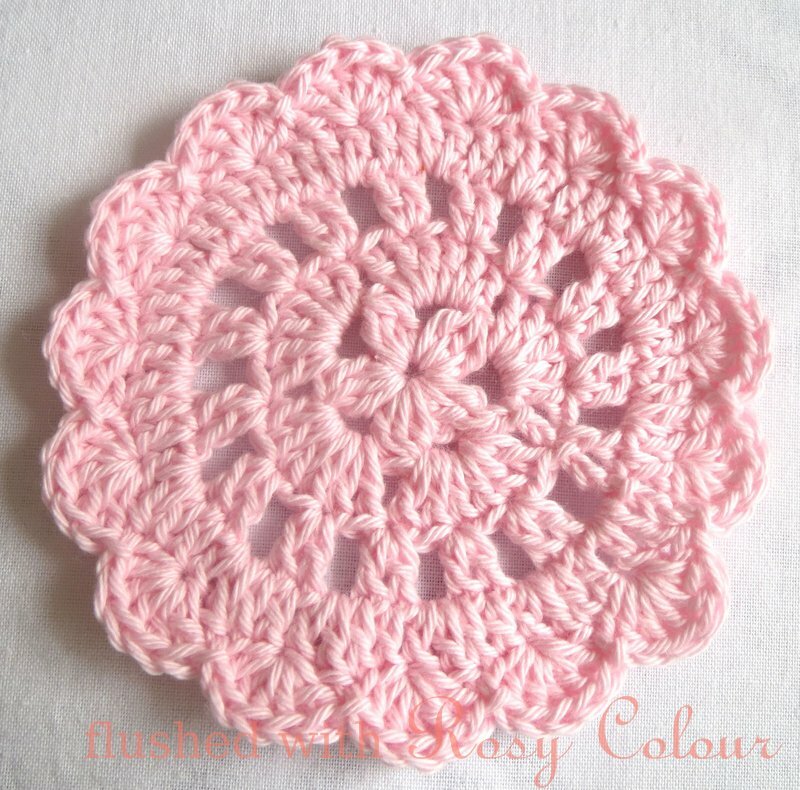 I've made up this pattern so I could use 4 ply cotton and a 2mm hook to make a pretty doily coaster in 5 rounds. 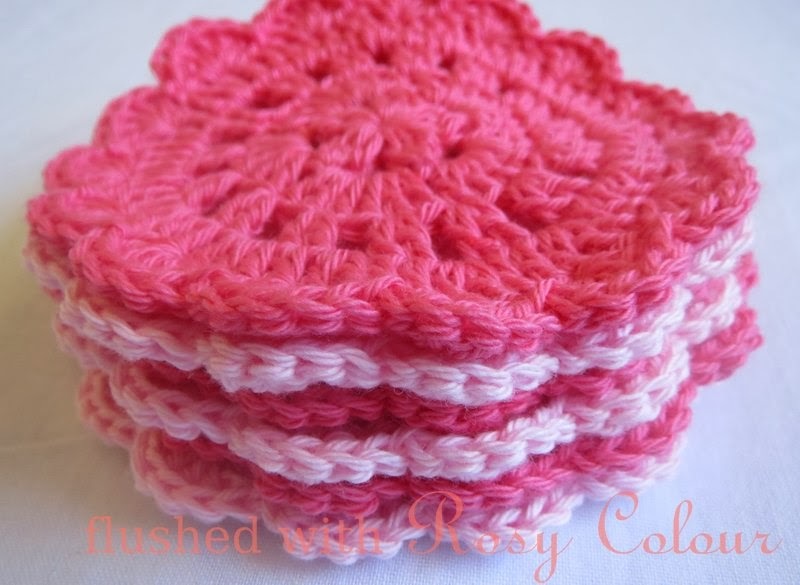 I couldn't find a pattern that would use that size yarn to make what I was looking for. I'm not sure how to explain how I did the little flower in the centre, but if I find out it can be improved I will update this pattern here on this page. Please leave a comment to let me know what you think! I'm glad you like them! A great day/night to you too! these are gorgeous. what brand of cotton did you use? Sorry meant look at their website. 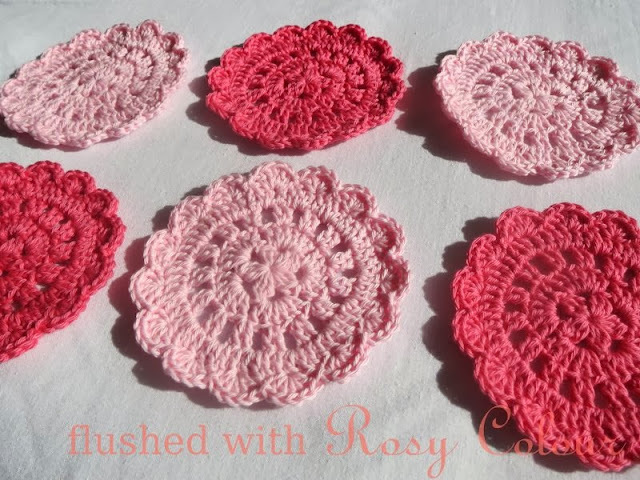 Hi, If I were to make some of these and want to sell them would that be okay, IF I link the listing back to your website?